Tawni Haynes provides high quality, unique clothing for woman directly from the designer herself. The brand seeks to make every woman feel beautiful, regardless of age or size. Their clothing line can be customized from personalized measurements to ensure it fits their customer’s perfectly. Tawni Haynes began their online store in 2012, but first reached out to Volusion Marketing Services in 2015. They needed additional help tapping their target audience through search. One of their primary challenges is that visitors searching broad terms like “designer dresses” are typically seeking more traditional designers in large aggregate retailers like Shopbop and Nordstrom, instead of a specific stylized brand like Tawni Haynes. 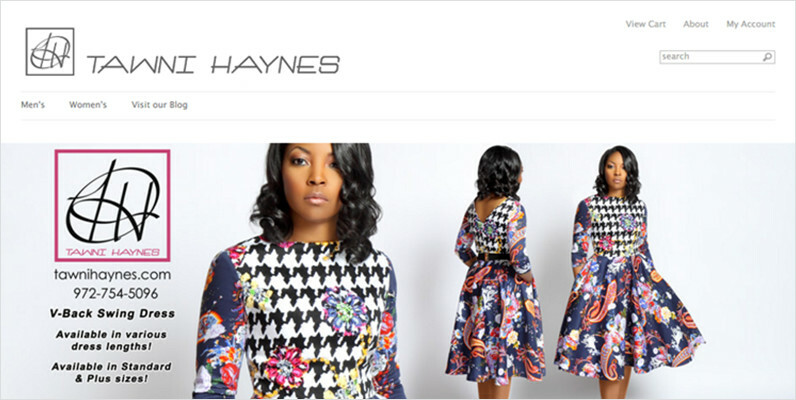 Moving forward we will leverage the strength of the Tawni Haynes brand to encourage sales growth and to introduce new customers to her innovative styles. Interested in what PPC can do for your online store?